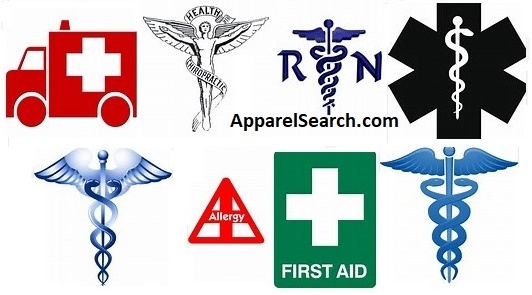 Clothing companies donating to medical charities is certainly in fashion this season. Web site viewers typically visit "help pages" to find help for themselves. The Apparel Search Company prefers to offer the clothing industry with easy access to "help others". Although our help page may not be what you had expected, you should be thankful for the opportunity to assist medical related charities. Do "NOT" send contributions to Apparel Search. Please pledge donations "directly" with the appropriate agency. You can learn about giving donations by visiting their web sites. Donating to medical charities is certainly in fashion this season. Learn more about these organizations by clicking the links to their web sites. American Cancer Society - At the American Cancer Society, they are on a mission to free the world from cancer. Until they do, they will be funding and conducting research, sharing expert information, supporting patients, and spreading the word about prevention. All so you can live longer and better. From their volunteers and supporters to their staff and donors, every individual makes a difference, every day. American Heart Association - here is a cause that is near and dear to the heart of the fashion industry. The American Heart Association is the nation’s oldest and largest voluntary organization dedicated to fighting heart disease and stroke. Founded by six cardiologists in 1924, their organization now includes more than 22.5 million volunteers and supporters. They fund innovative research, fight for stronger public health policies, and provide critical tools and information to save and improve lives. Their nationwide organization includes 156 local offices and more than 3,000 employees. They moved their national headquarters from New York to Dallas in 1975 to be more centrally located. The American Stroke Association was created as a division in 1997 to bring together the organization’s stroke-related activities. 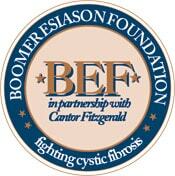 Boomer Esiason Foundation (cystic fibrosis) - they are a group of passionate, dedicated individuals who work every day to raise money, awareness, and support for the cystic fibrosis community. Cystic Fibrosis is a chronic disease that affects the lungs and digestive system of about 30,000 children and adults in the United States (70,000 worldwide). A defective gene and its protein product cause the body to produce unusually thick, sticky mucus that clogs the lungs and leads to life-threatening lung infections. The mucus also obstructs the pancreas and stops natural enzymes from helping the body break down and absorb food. America's Blood Centers - Founded in 1962, America's Blood Centers is North America's largest network of community-based, independent blood programs. Recognized by the U.S. Congress for its critical work in patient care and disaster preparedness and response, the federation operates more than 600 blood collection sites providing half of the U.S., and a quarter of the Canadian blood supply. These blood centers serve more than 150 million people and provide blood products and services to more than 3,500 hospitals and healthcare facilities across North America. America's Blood Centers' U.S. members are licensed and regulated by the U.S. Food and Drug Administration. Their Canadian member is regulated by Health Canada. America's Blood Centers is not affiliated with the American Red Cross. Epilepsy Foundation of America - Epilepsy is a condition of the brain causing seizures. A seizure is a disruption of the electrical communication between neurons. Someone is said to have epilepsy if they experience two or more unprovoked seizures separated by at least 24 hours or after one seizure with a high risk for more. The Epilepsy Foundation of America is the only nationwide organization dedicated to helping you or your loved one pursue seizure freedom. They provide community services, public education, federal and local advocacy, and fund research into new treatments and therapies. Find out how you can join the fight! Lupus Foundation - they are devoted to solving the mystery of lupus, one of the world's cruelest, most unpredictable, and devastating diseases, while giving caring support to those who suffer from its brutal impact. Their mission is to improve the quality of life for all people affected by lupus through programs of research, education, support and advocacy. Thank you for proving that the clothing and fashion industry is committed to helping the well being of others. If you have made money selling clothes, shoes, handbags, accessories or textiles, it would be a good idea to donate at least a small portion. It is the fashionable thing to do. The section below is NOT regarding charitable giving. When you are done learning about the charitable organizations above, you can use the links below to learn more about the apparel industry. Join us for discussions at the Fashion Industry Network. The employees and families of Apparel Search appreciate the support you have given to your favorite charity. You should feel very good about yourself. Enjoy your day! Remember, if you want to be in style, be sure to lend a hand to others in need. Thank you for using the Apparel Search website. We certainly hope that our website helps you learn more about the apparel industry and about how the apparel industry is very charitable.